In this the 50th year of James Bond we are certainly are being spoilt with a number of once off and rare events celebrating 50 years of James Bond. 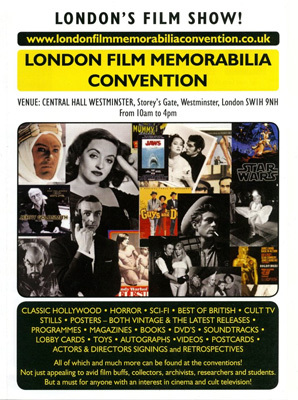 I got the heads up about this rather unique and interesting series of conventions being held right in the heart of London City by London Film Memorabilia Conventions a while back – but haven’t really had the time to look into them properly or mention them. Over the long weekend I had a chance to go through my voice mails and catch on some emails and was reminded of what looks to be a rather spectacular set of conventions for Bondologists James Bond and Hammer fans. 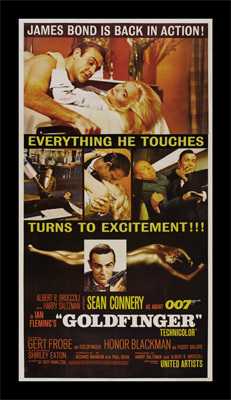 ON SATURDAY 22 SEPTEMBER THE LONDON FILM MEMORABILIA CONVENTION ARE HOLDING A SPECIAL GOLDFINGER DAY!!! CELEBRATING ALL THINGS GOLDFINGER. A retrospective celebration of the quintessential James Bond film! GOLDFINGER! With members of the Goldfinger cast and crew, reuniting for a one day and one-off unique event! 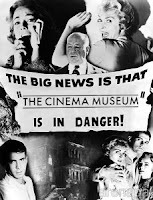 A Sir Ken Adam Retrospective With Sir Christopher Frayling. The Golden Girls – Their Recollections Of Working On Goldfinger. Norman Wanstall – The Art Of Editing. As always: More guests to be announced soon and all guests appearances are subject to change due to work commitments. Dealers from four continents selling Goldfinger related merchandise as well as rare and original James Bond film memorabilia! 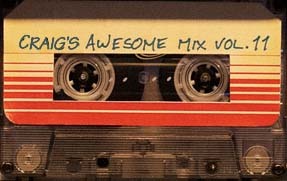 Plus vintage James Bond retro toys and games! The day also includes retrospectives and special talks plus cast & crew signings! Eunice Gayson will do her first signings of her new autobiography - " The First Lady of Bond : My Autobiography " at the London Film Memorabilia Convention! Again - more guests to be announced soon and all guests appearances are subject to change due to work commitments.